London, UK (AGENCIES) Dec 31, 2016 — Information Department at Elite Capital & Co. Limited (“ECC”) announced today that ECC will continue to support Children’s charities into 2017, starting by purchasing corporate gifts for our clients that are attending the company’s party today to celebrate the New Year event. The United Nations Children’s Fund (UNICEF) is a United Nations (UN) programme that provides humanitarian and developmental assistance to children and mothers in developing countries. It is one of the members of the United Nations Development Group and its executive committee. UNICEF relies on contributions from governments and private donors, UNICEF’s total income for 2008 was US$3,372,540,239. Governments contribute two-thirds of the organization’s resources. Private groups and some six million individuals contribute the rest through national committees. It is estimated that 92 per cent of UNICEF revenue is distributed to programme services. UNICEF’s programmes emphasize developing community-level services to promote the health and well-being of children. UNICEF was awarded the Nobel Peace Prize in 1965 and the Prince of Asturias Award of Concord in 2006. Most of UNICEF’s work is in the field, with staff in over 190 countries and territories. More than 200 country offices carry out UNICEF’s mission through programmes developed with host governments. Seven regional offices provide technical assistance to country offices as needed. 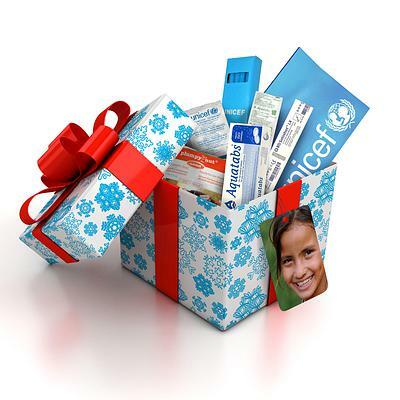 UNICEF’s Supply Division is based in Copenhagen and serves as the primary point of distribution for such essential items as vaccines, antiretroviral medicines for children and mothers with HIV, nutritional supplements, emergency shelters, family reunification,and educational supplies. A 36 member executive board establishes policies, approves programmes and oversees administrative and financial plans. The executive board is made up of government representatives who are elected by the United Nations Economic and Social Council, usually for three-year terms.